Tuff Stuff specializes in custom finished components for hot rods, show cars, race cars and everyday drivers alike. Tuff Stuff's Power Steering Pumps deliver quality and unmatched performance no matter what the use of your vehicle. 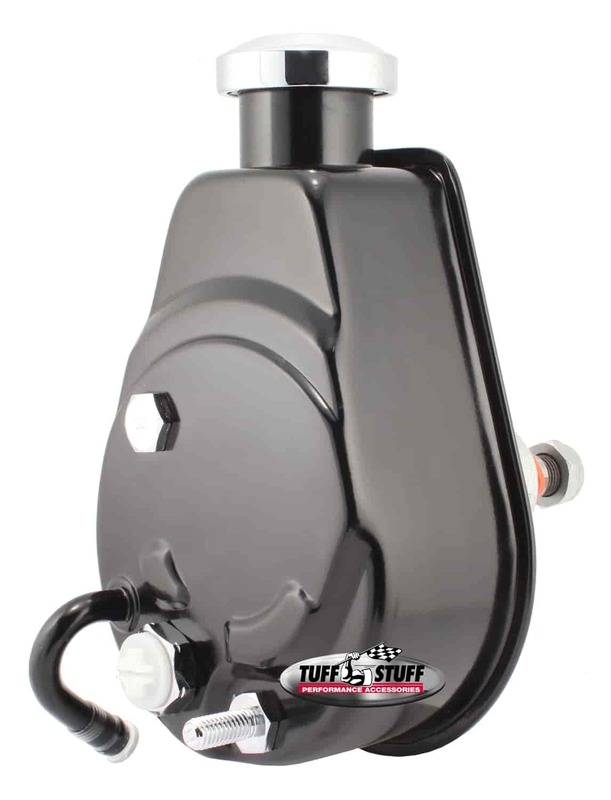 Tuff Stuff offers Saginaw and Type II-style powering steering pumps for both direct fit and universal applications; fitting popular models of GM, Ford, Chrysler or custom builds. These power steering pumps were designed with compact size in mind, and are perfect for limited space situations. Tuff Stuff power steering pumps are available with a powdercoat, polished, chrome or natural finish, and are sure to dress up your engine compartment.